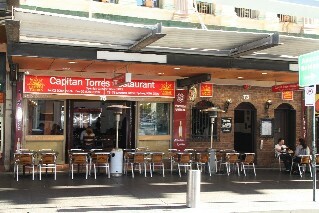 Genghis Khan Mongolian BBQ Restaurant (reviews) 30A Lime Street King Street Wharf Ph: 9290 1818. Open for lunch Monday to Friday 12pm-3pm. Open for dinner Sunday to Wednesday 6pm - 10pm, Thursday to Saturday 6pm - 10.30pm. For restaurant reviews for Genghis Khan Mongolian BBQ Restaurant click here.